Apply on wet face & neck. Massage gently in circular motion to work up a lather, avoiding eye area. Rinse off thoroughly with water & pat dry. 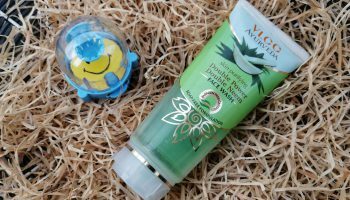 Packaging: This face wash comes in a see-through plastic squeeze tube with a flip top cap. 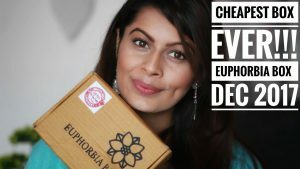 All of the product details like ingredients, directions, expiry, price etc. are mentioned on the tube itself. 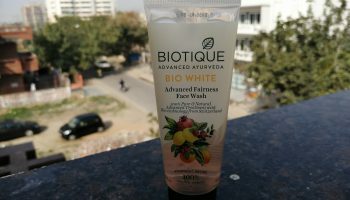 More or less all Biotique face washes have same kinda packaging. 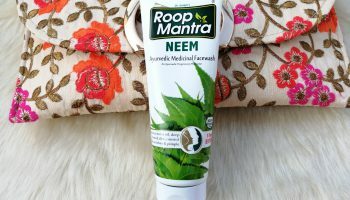 My opinion about the product: This face wash is green in color & has that typical fragrance which most of the Neem Face washes have. 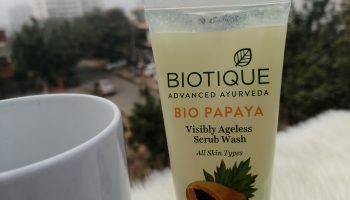 This face wash has a medium consistency, not too thick or too light and one or two squeezes are enough to form a lather. 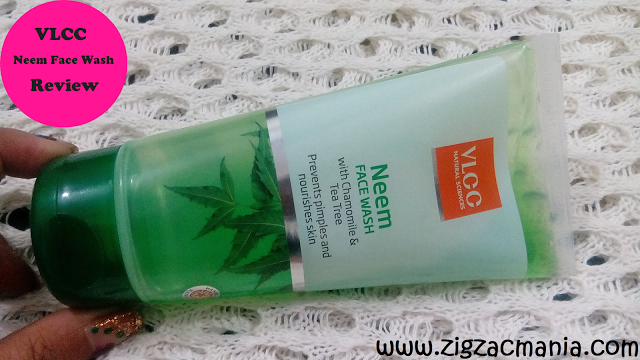 I have used VLCC Neem face wash too & found that these both face washes have a very different texture. I found this one light as compared to VLCC one. 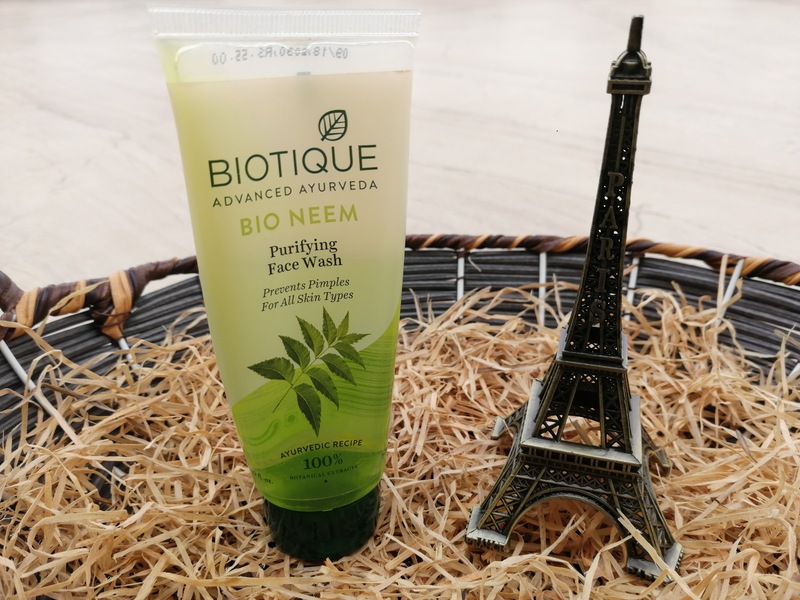 Biotique Neem face wash is more lathering & rinsing it off too very easy. 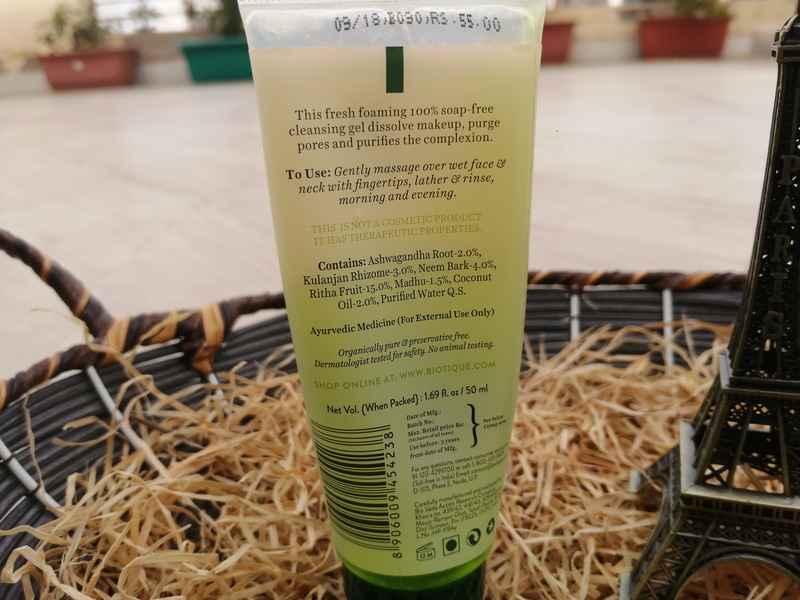 Be careful while washing your face as this face wash sting really bad if enters in the eyes. 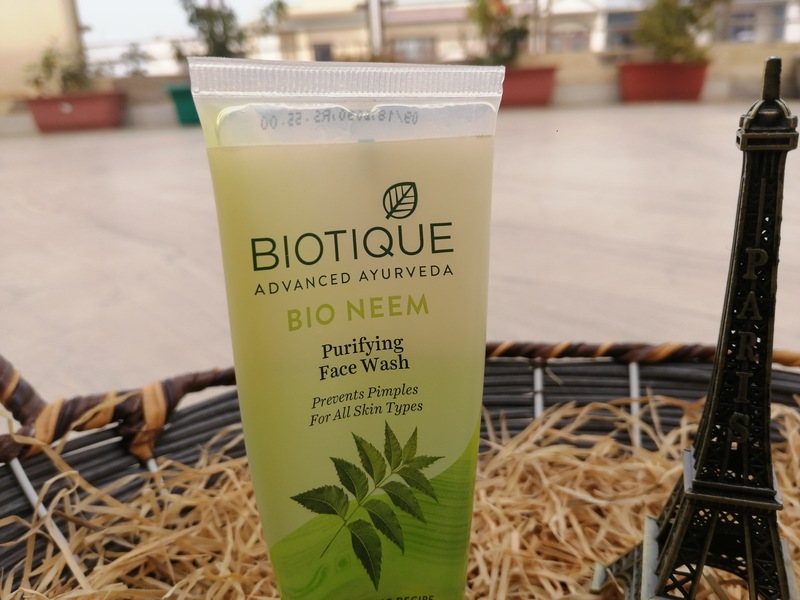 It cleanses my skin very well and helps in removing impurities from my face. 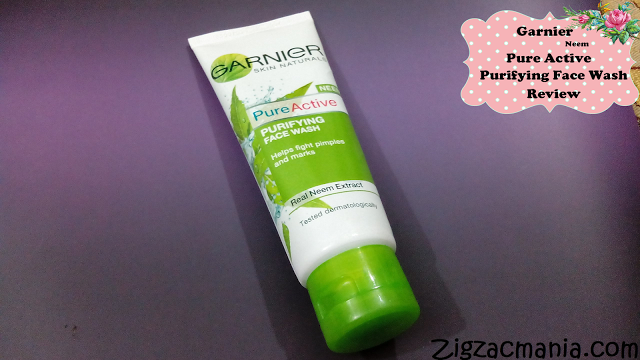 I am using it twice in a day & it working well for me. Post application it has a bit drying effect on the skin so need to moisturize your face. I don’t have any real acne problem so I won’t be able to comment if this reduces acne but I can definitely say that it reduces the frequency of breakouts. 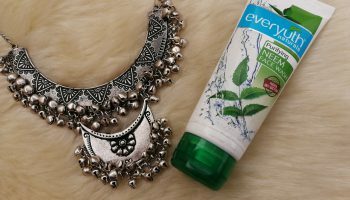 Overall it is a decent face wash for daily use which is definitely meant for those who are looking for a budget-friendly face wash. 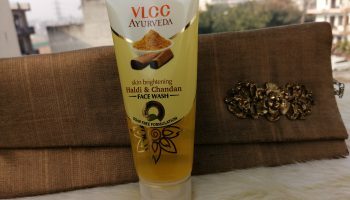 If you are wearing a heavy makeup then don’t use this face wash for taking it off. As it will be not able to take it off completely. 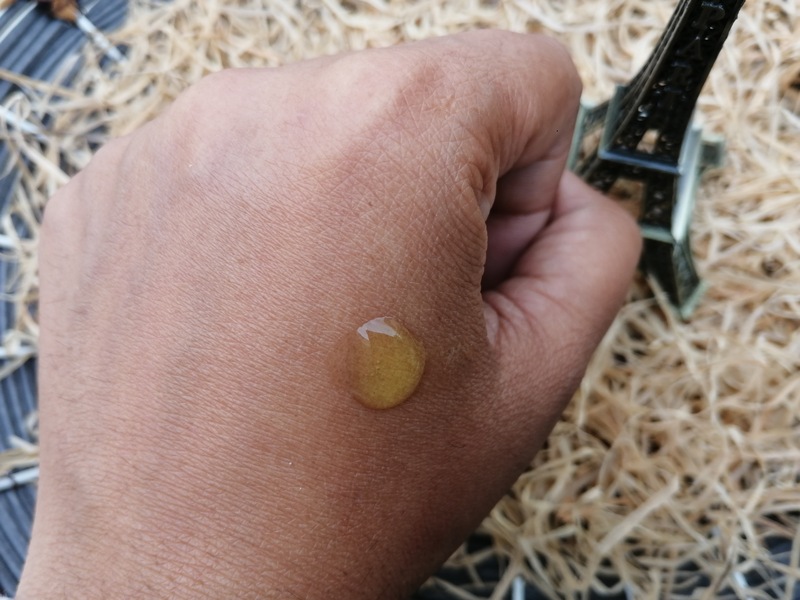 No artificial fragrance & colorants. Dries out my a bit. 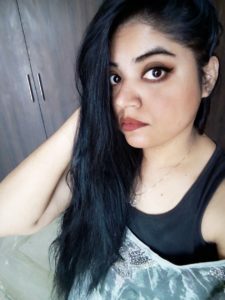 Not able to take out makeup completely.